After spending a great weekend in Brussels where Elyx has learned a lot about how the European Union supports UN interventions and activities around the world, the UN digital ambassador was eager to explore how the UN works in the field. Elyx was invited to visit the Minawaou camp in the Far North region of Cameroon where refugee children participate in such vocational activities as sewing, gardening and cooking and are supported by UNICEF. Cameroon ranks 150 out of 186 on the 2012 UNDP Human Development Index with more than 40% of the country’s 20 million people living below the poverty line, and 70% dependent on agro-pastoral activities. Political unrest and fighting between communities, which started in 2013, have led more than 240,000 people to seek refuge in Cameroon. In recent months, Cameroon has also received an influx of people fleeing the violence in Nigeria. Cameroon hosts around 46,000 Nigerian refugees, including almost 30,000 children in Minawao camp. 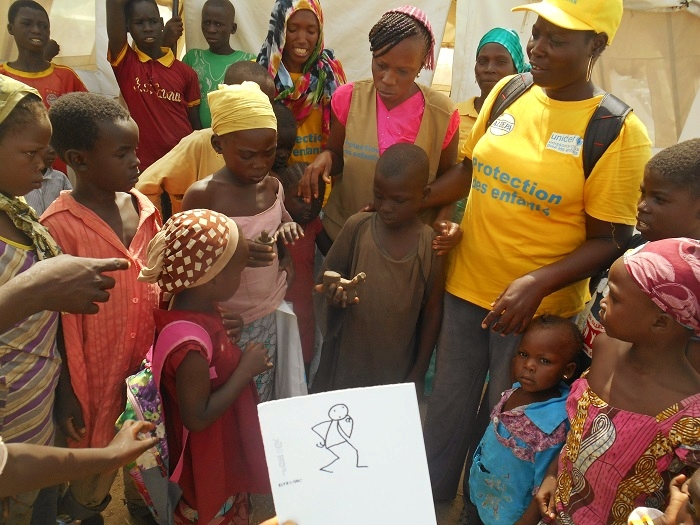 Elyx talks with the children at the Minawaou camp (Photo: UNICEF Cameroon). After walking many kilometres in the bush and avoiding armed groups, refugees arrived in 2014 in poor health and in need of a medical assistance. The influx has since decreased but the UN humanitarian agencies and their partners are still looking after them, providing food, shelter and medical care. In partnership with local NGO ALDEPA (Action Locale pour une Développement participatif et Autogéré), UNICEF supports refugee children by providing psychosocial support, recreational activities, clothes and referrals to family reunification services and health and hygiene facilities. 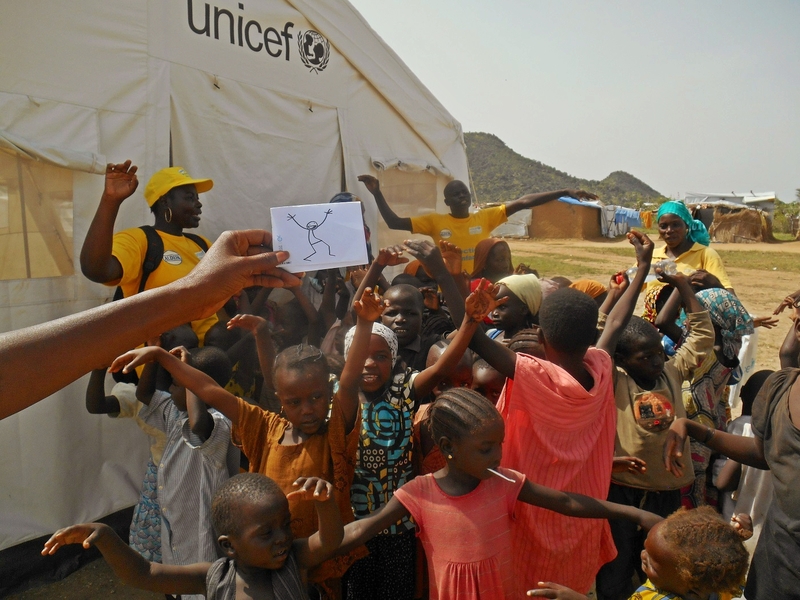 Elyx plays with the children´s, who are supported by the UNICEF (Photo: UNICEF Cameroon). Elyx learned that in 2014 alone, UNICEF helped to improve the sanitation of almost 60,000 CAR refugees and ensured that 163,379 newborn babies were immunized against measles. After helping two kids to collect clean water, Elyx was happy to know that thanks to UNICEF, thousands of refugees had received « water and sanitation » kits and were also being educated on how to maintain good hygiene practices. 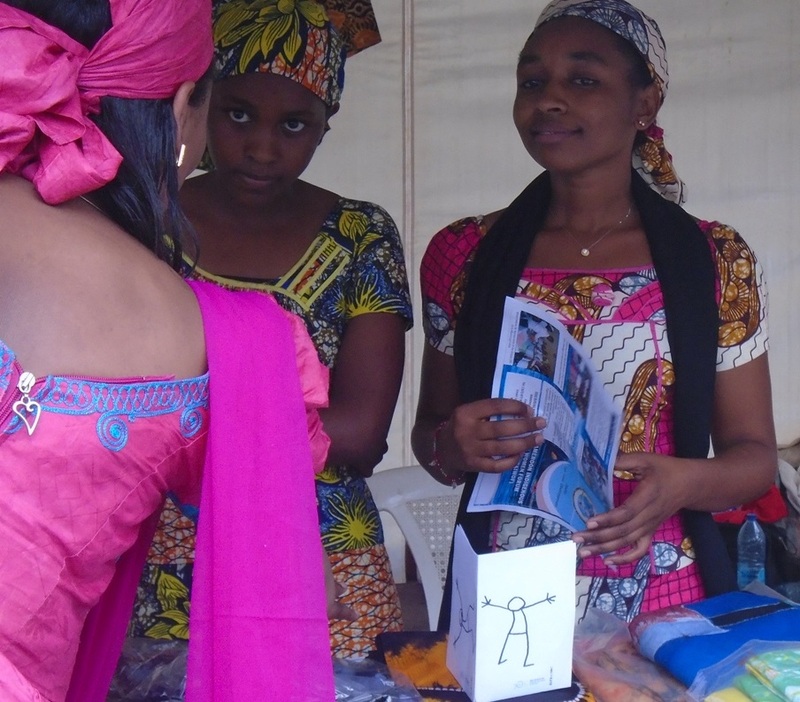 Elyx at a Youth Day event in Yaounde (Photo: UN/UNIC Yaounde). 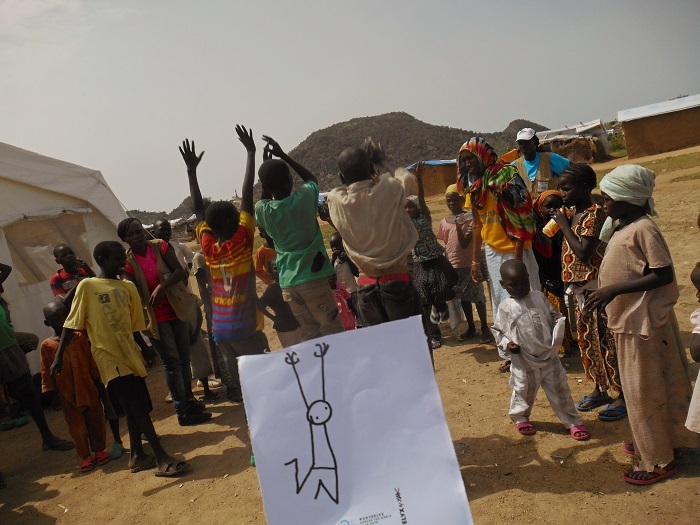 In the early morning, Elyx was again pleased to learn more about the WFP´s efforts to fight food insecurity in the refugees camps and in the other part of the country where floods or drought often lead to outbreaks of malnutrition. Since 2012, the WFP has been providing food assistance for more than 325,000 people across the country. In 2014 alone, around 180,000 refugees have received food and nutritional assistance. The smiles of the children’s at the Minawaou camp definitely the highlight of Elyx´s journey in Cameroon.